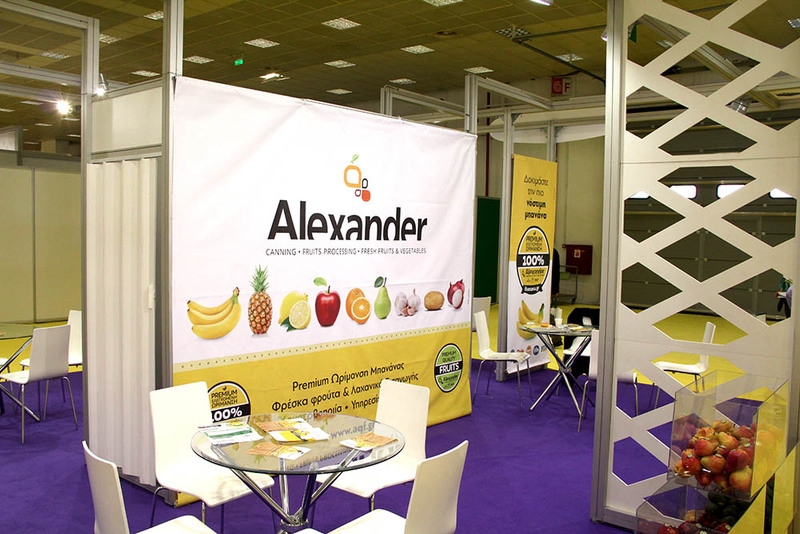 For a second year in a row, Alexander took part as exhibitor to “Freskon”, the largest and most prominent international fruit and vegetable exhibition in northern Greece. The exhibition was held by HELEXPO 27-29 September 2017 at the International Exhibition Hall of Thessaloniki. During this year’s “Freskon”, the representatives of our company had the opportunity to present Alexander’s portfolio of products, its history as well as its strong potential to prospective clients from Greece and abroad aiming to expand the sales network of the company.